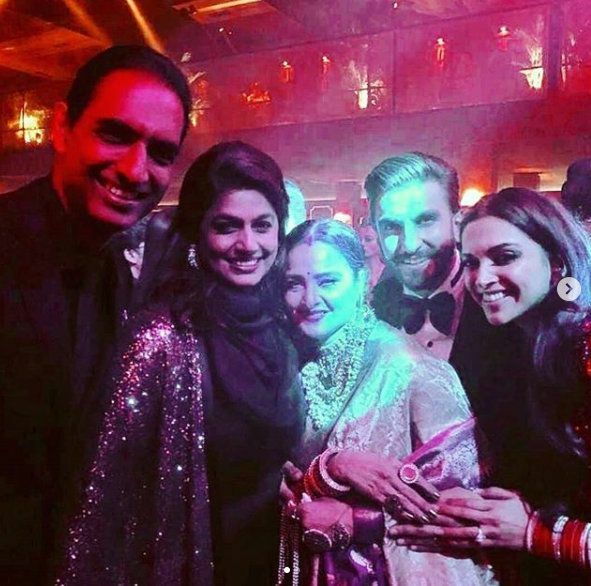 All The Inside Pictures You Wouldn't Want To Miss From DeepVeer's Bollywood Reception! 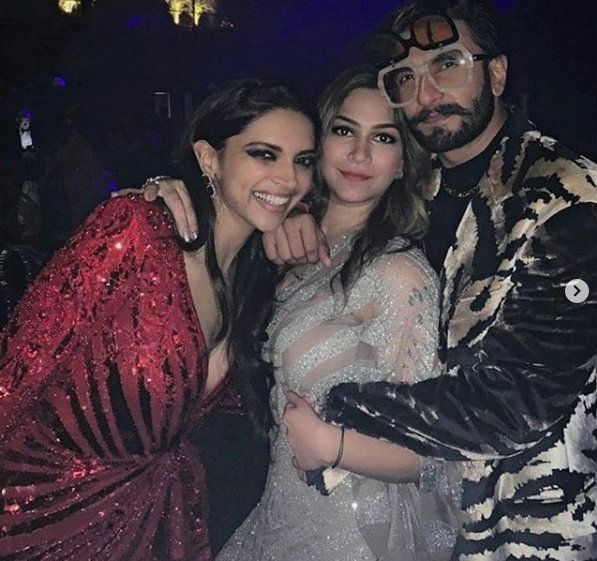 Ever since their much-hyped wedding in Como in Italy, the exuberant pictures from Deepveer’s wedding(s), receptions and post-wedding outings have been a mainstay in our Instagram feeds, and yet, we just CAN'T seem to get enough of this couple! But then again, with the aww-dorable moments these two dish out, can you really blame us? 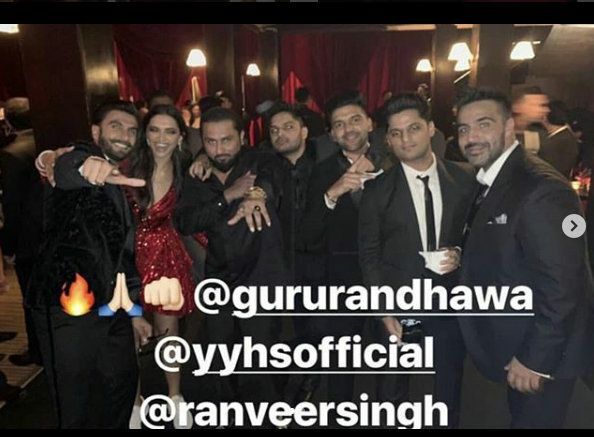 As the grand reception unfolded tonight and Bollywood stars made their way to celebrate with the couple, we once again witnessed Deepveer’s unfaltering chemistry and those oh-so-sweet moments that continue to give us life. Take a look for yourselves! That Look Of Love Though! The photographers once again resorted to calling Deepika bhabhi, making the actress giggle. 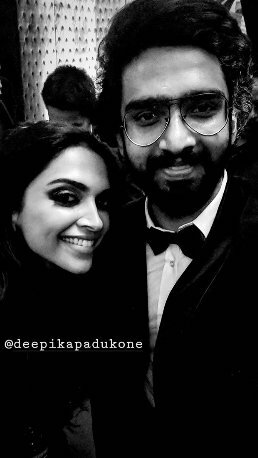 Before leaving, DeepVeer met the photographers and posed with them for some pictures. Name a more fun duo, we will wait. 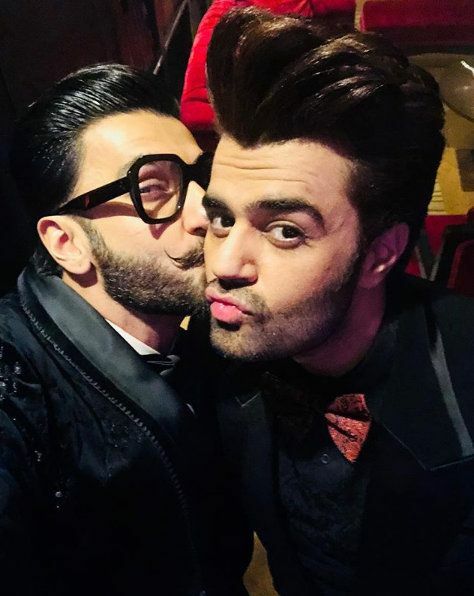 Don't forget to check out Maniesh Paul and Ranveer Singh's candid pout session. DP posed with dancer duo Bosco and Caeser. Was there a dance routine involved too? We sure hope so. 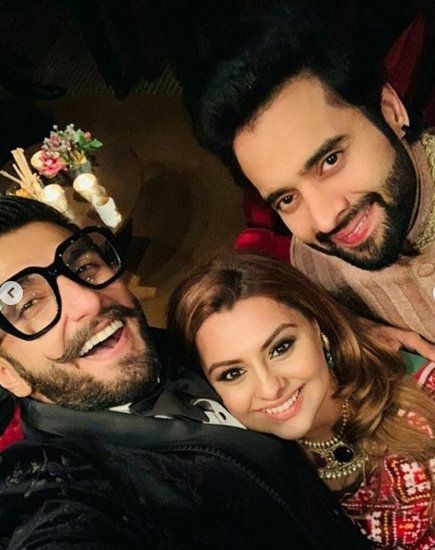 Amaal Mallik knows that a party isn't complete without a couple of Insta stories. 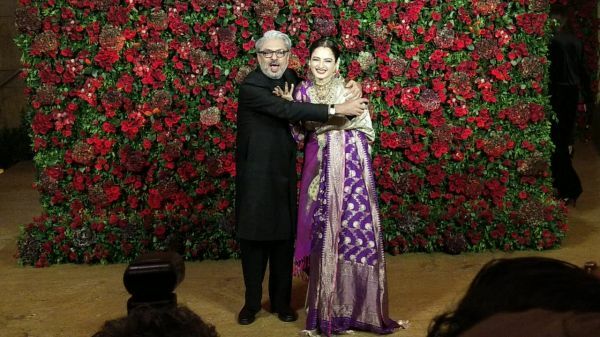 Rekha and DeepVeer's fave director, Sanjay Leela Bhansali had a run in at the venue. 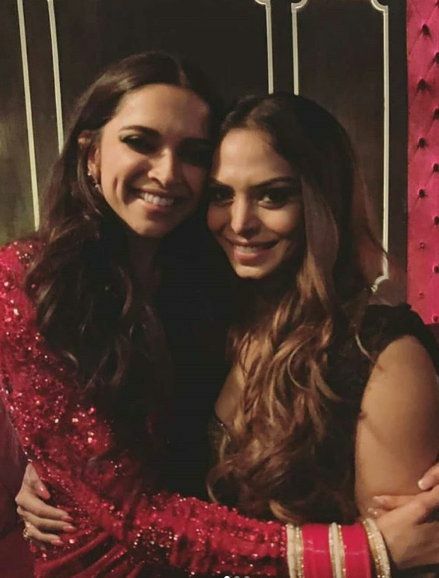 Don't we just love two icons together! It's not every day that the paparazzi gets papped, but Siddhartha Malhotra and Dino Morea made sure it happened. This picture might as well be a mood. One where your entire crew is on the dance floor, so you gotta change into sneakers for sure. 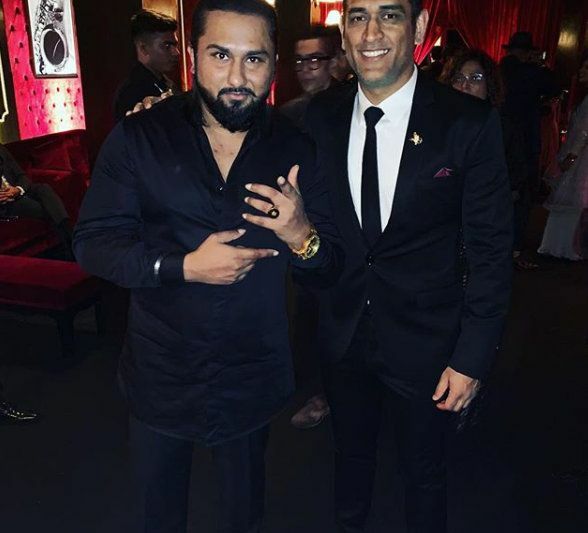 No biggie, just Honey Singh hanging out with MS Dhoni at the DeepVeer reception like a BFF. 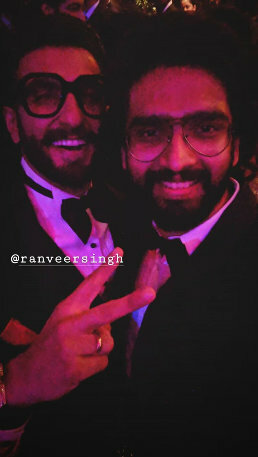 Deepveer's reception also saw Big B grooving to some beats of his own yesteryear songs, and it was cool as it gets. TBH, we were waiting for him to do it. Deepika was seen minus the trail of her gown (we are guessing it was detachable)+ sneakers. 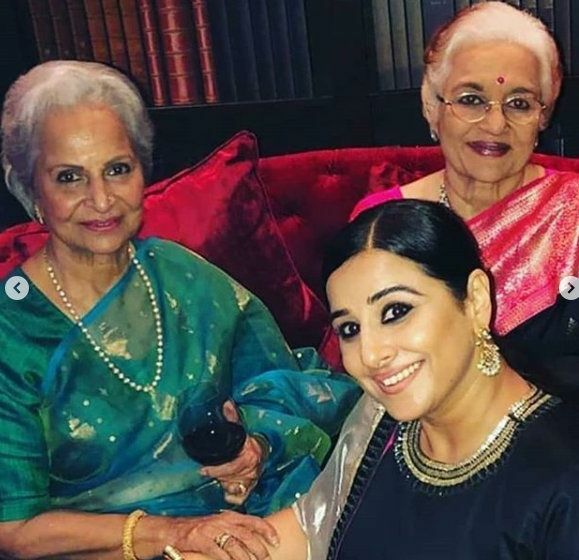 Look who Vidya Balan found! 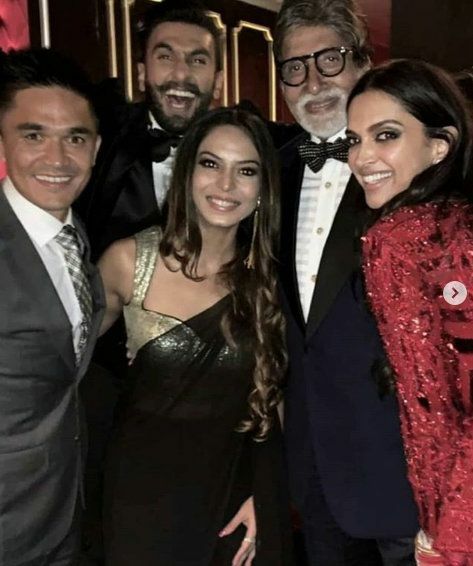 The OG icons of Bollywood. 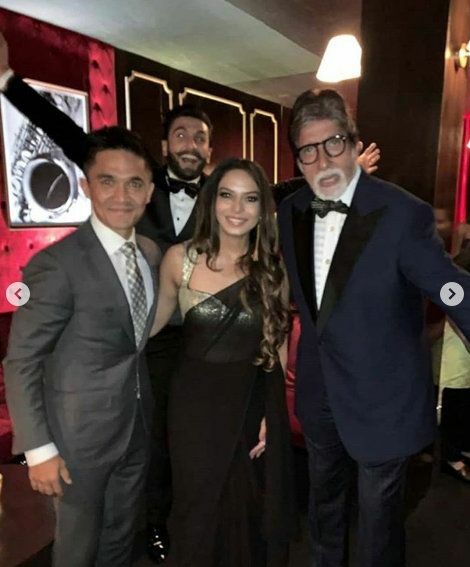 And then Ranveer found his Simbaa co-stars for a photo session. We will be honest here, we haven't seen a more dapper photobomber. 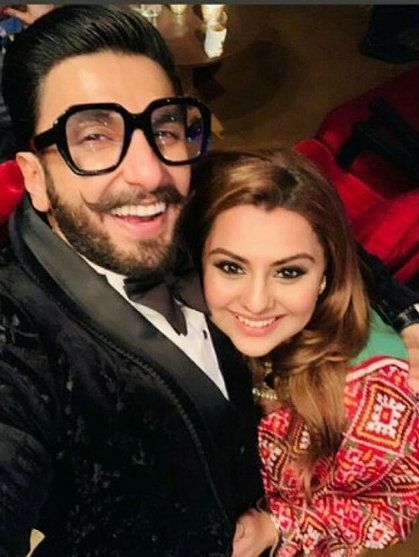 Doesn't Ranveer Singh look cute? A quick change later, the actor found his quirk and was seen donning a leopard print coat and two glasses. 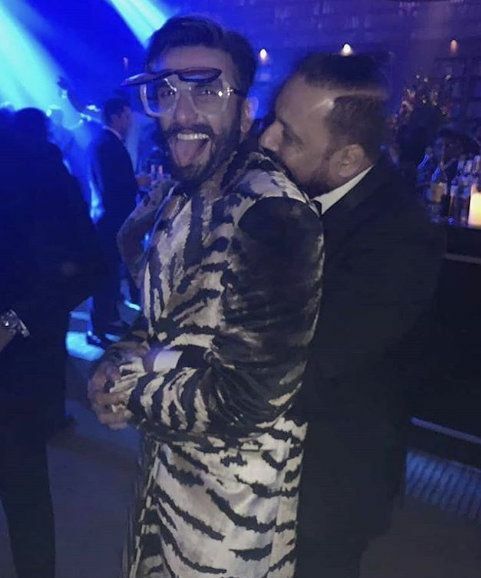 Ranveer Singh knows how to make it fashuun! Just look at these two! Cute couple alert. 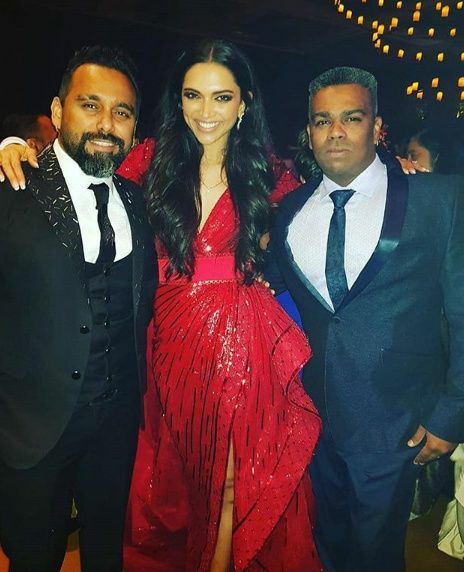 On the fashion front, Deepika Padukone chose to wear a custom couture red gown from Zuhair Murad, complete with a veil and sculpted details, as one does. 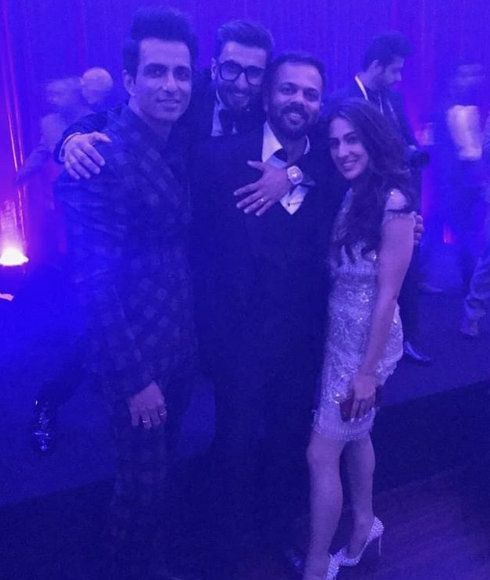 Ranveer Singh, on the other hand, went for a classic black tux from Rohit Gandhi-Rahul Khanna and we are obsessed! Both their looks were a departure from the traditional ensembles the couple has picked in these last few days. 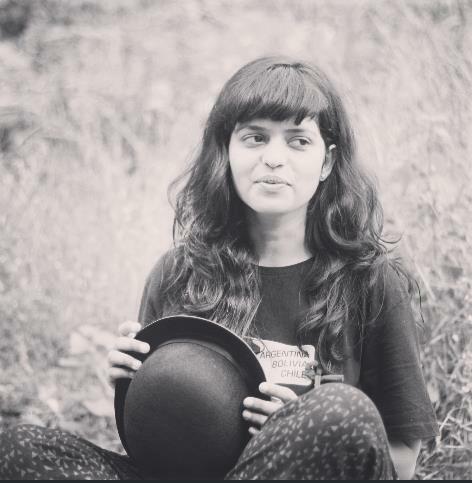 As for these totally adorable moments, keep 'em coming guys!